Hakusan, Japan, October 19, 2017 – EIZO Corporation (TSE: 6737) today announced the addition of 9 new Ambassadors to its ColorEdge Ambassador Program, bringing the program’s membership to a total of 36 creatives from 19 countries since its launch in November 2015. 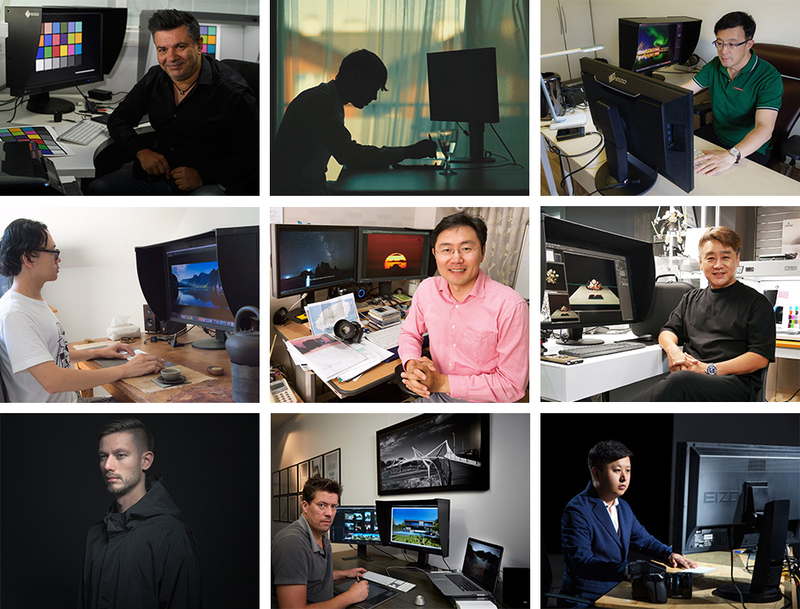 The newest additions to EIZO’s ColorEdge Ambassador Program are internationally-known creatives from varying fields: wedding photographers Rocco Ancora (Australia) and Greg Moment (Poland), landscape photographers Xue Dong and Qiao Fengwei (China), astrophotographer and filmmaker O-Chul Kwon (Korea), fine art photographers Kwang-Gi Lee (Korea) and Martin Stranka (Czech Republic), architecture photographer Steven Massart　(Belgium), and commercial photographer Fu Zengkai (China). Each Ambassador offers a unique experience to the viewers of their works with a common link between them in the ColorEdge monitors they use to achieve their vision.